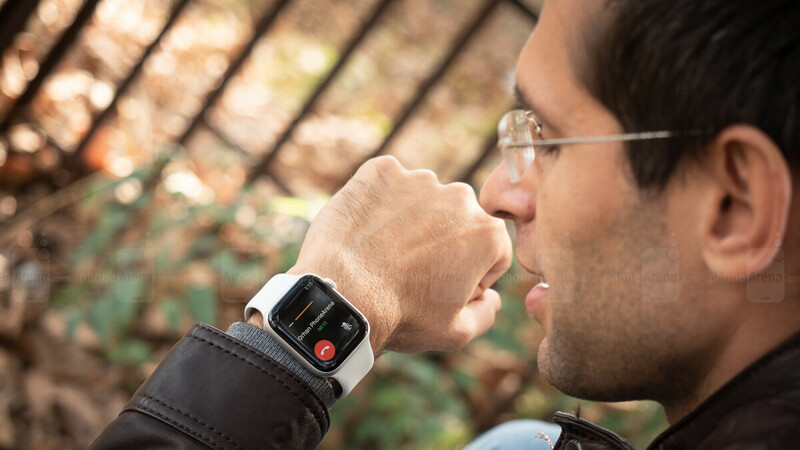 While it was definitely time for the 2016-released Apple Watch Series 1 to bite the dust on the heels of the Series 4 announcement, the Cupertino-based tech giant nonetheless took a gamble by killing off the world’s best-selling smartwatch model. But even though the latest Apple Watch generation is significantly pricier, sales are widely expected to continue thriving. A fresh report put together by Counterpoint Research provides some interesting insight into exactly what is making the Series 4 so appealing, despite its $399 starting tag. Somewhat surprisingly, LTE connectivity is still the number one feature driving US consumer interest. That’s a little unexpected because built-in voice call support is not an entirely new thing for the Apple Watch family, and also, because the cheapest cellular-enabled models are $499 a pop. Apple’s in-house S4 chipset promising twice the speed and the same stellar battery life of its predecessor follows in second place (predictably enough), while the greatly improved heart rate sensor is the third most popular feature of the Apple Watch Series 4. The single most groundbreaking thing about the new smartwatch, i.e. the ECG functionality that’s technically still dormant, is only ranked fourth on this list of consumer-requested features, followed by the similarly impressive fall detection monitor, and the digital crown’s haptic feedback. Apparently, either not that many people are excited about in-depth health analysis and potentially life-saving technology or skepticism remains a hurdle for wide-scale ECG adoption. Either way, Apple is by far the most preferred smartwatch brand among existing US consumers, with a whopping 42 percent of the total planning to buy an iOS-exclusive wearable device next. Although Fitbit has just become the nation’s number two vendor, Samsung follows Apple in this Counterpoint Research Consumer Lens study, with 24 percent, while Fitbit ranks third, at only 14 percent. Of that pretty massive Apple Watch audience, no less than two in every three potential buyers intend to go with a Series 4, with half of them also interested in standalone LTE capabilities. In addition to sales numbers, that means profits will also go up next year. Can’t accept the fact that apple watches is the best selling watch just like other apple products. and you can't accept the fact that android is world's number one phone and not everybody slobs apples knob like you? Android isn’t a phone, it’s an operating system. The iPhone is a phone, that runs an operating system. The Note 9 is a phone that runs an operating system.